Objet d’art (plural objets d’art) means literally “art object”, or work of art, in French, but in practice the term has long been reserved in English to describe works of art that are not paintings, large or medium-sized sculptures, prints or drawings. In this exhibition the OBJET D’ART was initiated by classic car collector Jeff Brown (son of renowned art dealer, Joseph Brown). 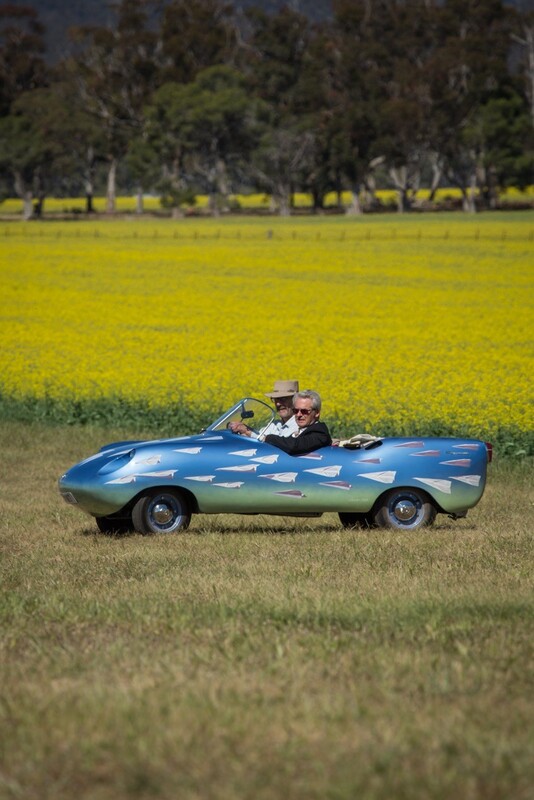 Brown worked collaboratively with artist Robert Clinch to transformed an iconic 1960’s Australian sports car, the Goggomobil Dart, owned by Jeff Brown into an OBJET D’ART. The car is the canvas for a delightful cascade of 62 beautifully hand-painted paper-darts; finished to show-car perfection. Accompanying the car, this exhibition also includes detailed sketches, a test panel and a documentary video about the project. There are also plenty of activities to occupy the kids during the school break.